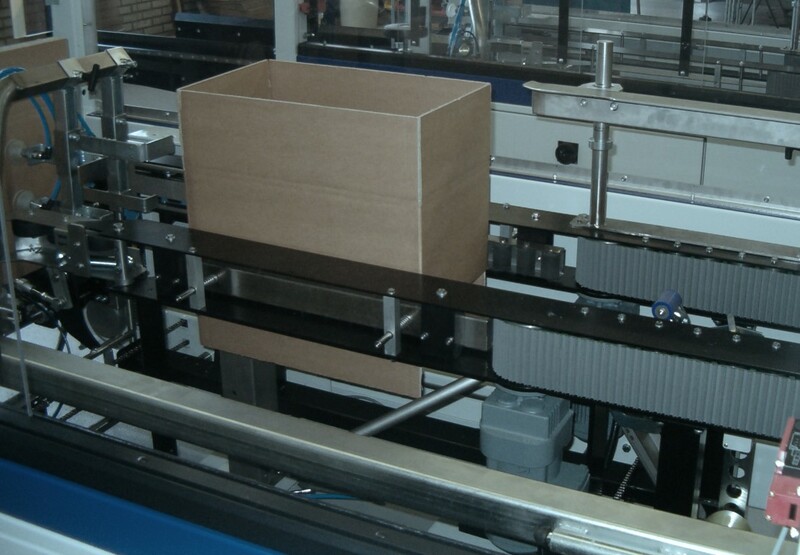 An automated box erector will kick-start your order picking process. Ideally you should have sufficient cardboard boxes in various sizes available to immediately start picking. However, this often means that employees are still busy with the time-consuming preparation of shipping boxes when they should be order picking. By integrating an automated box erector in your order picking system, you achieve a highly efficient system overall since your employees have the right quantities of the right shipping boxes to hand at all times. The labor savings achieved generate a quick return on investment (ROI). The box erector machine takes flat cardboard boxes from a stack, folds the blanks into shape and gets them ready for use using tape or glue. Box erectors come in various dimensions and have auto-adjustment functionality for case variations. The volume calculation functionality of the Inther LC software suite ensures that the machine prepares the box which is best suited for each customer order. To ensure that the box erector is optimally aligned within your intralogistics concept, at Inther we use proven and highly standardized communication techniques and the Inther LC control software. Inther LC control has a modular set-up, enabling a box erector to be integrated within your complete material handling concept via the Inther LC control platform. With our strength in devising ‘all-in-one’ systems and our ability to think ‘out of the box’, we are the ideal partner for your complete warehouse solution.